One of the first things we learn when we’re children is who to turn to for help. If we’re hurt, scared, or see something bad happen, we’re told to find a police officer or call 911. And as you go through life this sticks with you. 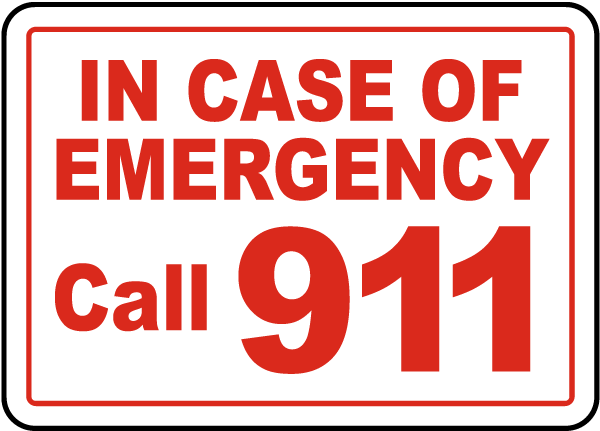 I’ve called 911 on numerous occasions, from the first time when our neighbours house was on fire, through two armed robberies when I was employed in a convenience store, to the numerous traffic accidents I’ve witnessed on my travels. 911 is always there to help, or is it? With increasing costs of everything around us many times when people call 911 for help, they’re put on hold and have to wait for assistance. That is both sad and scary because when we need it the most, we want that help to be available now! There is however a help service that will never put you on hold and is available 24 hours a day and doesn’t cost you anything! This is a direct line to God. And while God will not rush down to put out your house on fire, or get you to hospital after a traffic accident, He will comfort you through your darkest times. There were times during my jail stay when I thought that I couldn’t make it, and yet God got me through it again and again. I was able to call God when I had no access to call anyone else. At one point during my incarceration the jail was on total lockdown for five days. We were not allowed out of our cells at all for the first three days, and then for only 1 hour on each of the next two days. Inmates were yelling and screaming and banging on doors because they couldn’t handle the isolation. But I spent the time with my newest and best friend, God. He kept me company and helped me to get through the period of isolation. In fact that five days were some of my favourite days in jail because I could just do exactly what I wanted to do. God was with me when I needed Him and He never put me on hold. Today I still do the same thing and call on Him when I need Him and I know He is listening. When I am down or struggling, I know He’ll help me through it. When I see someone else struggling, I know that my prayers will help that person too. I can rely on God 100% of the time to help me when I need Him, unfortunately I cannot say the same thing about 911. Now I’d never tell you to call on God instead of 911 in an emergency. Make that call first, but then call on God to support you until help arrives. God can and will make things work out for you. Trust Him and He’ll be there for you.